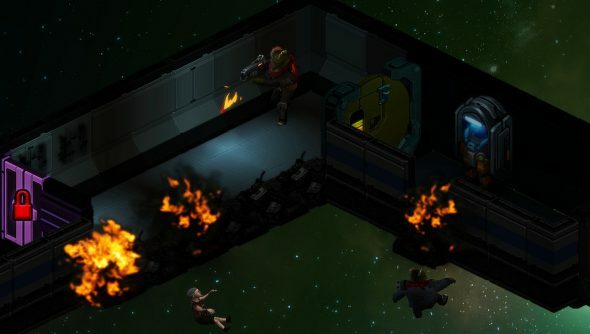 When Double Fine announced the imminent release of Spacebase DF-9, last week, it came as a bit of a surprise. It seemed early, and a long list of hoped for and planned features had yet to be implemented. Now they won’t be implemented at all. Early Access once again looked like a risky gamble. Tim Schafer recently took to the Steam forums to explain the studio’s decision. Simply, Spacebase was not making enough money to justify continued development. It highlights one of the bigger problems with Early Access games where they completely rely on people buying an unfinished game to ensure that it will be feature complete. Schafer goes onto explain that all the money earned by Spacebase went back into its production, and more money was thrown at it on top of this. But sales numbers didn’t increase enough and Double Fine couldn’t afford to continue spending money on it. He also apologises for the lack of communication and for not informing Early Access customers and prospective customers sooner. But Schafer believes that people will still be getting a complete game, even though the studio wanted to work on it for years. It doesn’t make sense for Double Fine to throw money at something that isn’t able to support itself. But it’s hard not to find fault with the decision to plug features that now won’t exist. On the roadmap, the time travel and holodeck stuff that people anticipated were not set in stone, but they were advertised, they were used to appeal to customers and bring more funding to the project. Money management does seem to be a bit of an issue at Double Fine. Broken Age was awkwardly split into two parts so the first could fund the second, even after its incredibly successful Kickstarter. The original goal for Broken Age was $400,000, but Double Fine was unable to complete the game after earning closer to $4 million. Spacebase DF-9 v1.0 will launch next month.